The Department of Defense has identified three U.S. special operations service members killed by a roadside bomb in Afghanistan. They were identified as Army Capt. Andrew Patrick Ross, 29, of Lexington, Virginia, Army Sgt. 1st Class Eric Michael Emond, 39, of Brush Prairie, Washington, and Air Force Staff Sgt. Dylan J. Elchin, 25, of Hookstown, Pennsylvania. Their deaths bring the total number of U.S. service members killed in the country this year to 13. 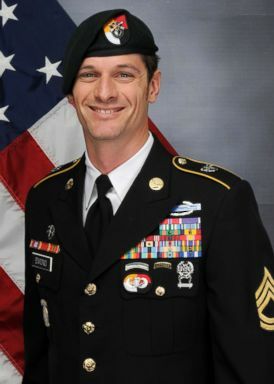 Army Sgt 1st Class Eric Michael Emond, 39, of Brush Prairie, Washington was one of three special operations service members killed by a roadside bomb in Afghanistan on Nov. 27, 2018. Army Capt. 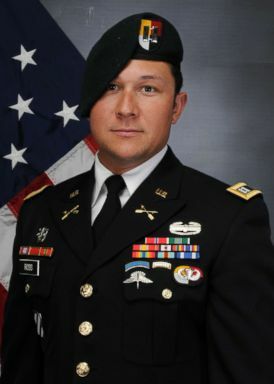 Andrew Patrick Ross, 29, of Lexington, Virginia was one of three special operations service members killed by a roadside bomb in Afghanistan on Nov. 27, 2018. 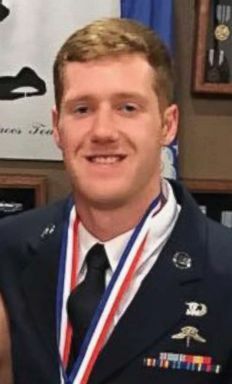 Air Force Staff Sgt Dylan J. Elchin, 25, of Hookstown, Pennsylvania was one of three special operations service members killed by a roadside bomb in Afghanistan on Nov. 27, 2018. Army Green Berets, Ross and Emond were assigned to the 1st Battalion, 3rd Special Forces Group (Airborne) at Fort Bragg, North Carolina. Elchin was assigned to the 26th Special Tactics Squadron at Cannon Air Force Base, New Mexico. Three other U.S. service members and an American contractor were also wounded in the attack. The service members were all riding in a heavily armored Mine Resistant Ambush Protected (MRAP) vehicle when the roadside bomb exploded. MRAP’s are the standard patrol vehicle for U.S. forces in Afghanistan because of the protection they afford specifically for roadside bombs. The deadly attack occurred south of the city of Ghazni, the scene of heavy fighting this August as Taliban fighters took over parts of the city. The city was retaken days later after heavy combat by U.S. special operations advisers sent to assist local Afghan forces. Five service members so far have died in Afghanistan in November — the deadliest month for U.S. forces this year. Army Ranger Sgt. Leandro Jasso was killed in Afghanistan over the weekend. On Tuesday, Resolute Support announced that Jasso’s death was likely the result of accidental friendly fire from the Afghan forces he was accompanying during an assault on al-Qaeda positions in western Afghanistan’s Nimroz Province. On Nov. 3, Maj. Brent Taylor, 39, was killed in an insider attack in Kabul. Taylor, a member of the U.S. Army National Guard, was also the mayor of North Ogden, Utah and the father of seven children.